EP Release Show on 6/7! Brooklyn trio Dead Stars is a sonic throwback to the ‘90s with a modern twist, blending elements of rock, pop, and grunge to create a large, resonant sound full of memorable hooks, melodic vocals, and plenty of guitar solos. Having been compared to iconic acts like Dinosaur Jr., Sonic Youth, and Pavement, the band has won over fans with their raucous live show. Today, they release their new EP, High Gain, via Uninhabitable Mansions! Head to American Songwriter or MSN Music to stream the EP in full, and you can purchase it via iTunes and other digital retailers. EP track “Fractured” embodies Dead Stars’ signature sound with heavy, energetic guitar, driving percussion, and a chorus that explodes with electric energy. 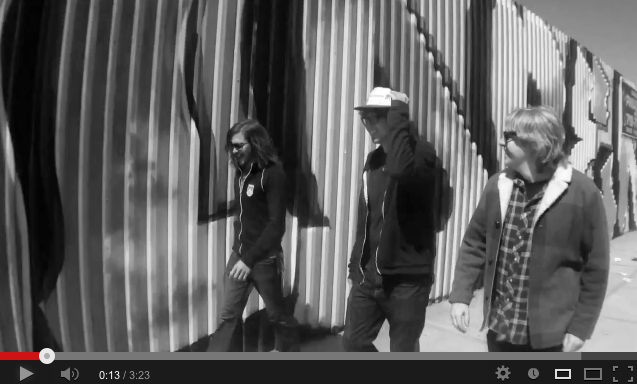 The band recently shared the “Fractured” MP3, and today, they unveil a new video for the track. Check out the “Fractured” video where it premiered with BrooklynVegan or HERE, and you’re encouraged to post & share! High Gain opener “Waste Away” is a bright, upbeat track perfect for a sunny day, with a toe-tapping rhythm and sing-along chorus. “Let It Go” slows things down, setting a nostalgic vibe with fuzzed-out guitars and wistful lyrics. “Staring At The Sun” is a mid-tempo cut with a steady beat and crunchy bass, complete with a buzzing guitar solo. To celebrate the new release, Dead Stars will play an EP release show at Brooklyn’s Grand Victory this Friday, 6/7 with fellow Brooklyn bands Radical Dads & Heaven. Be sure to catch the band live, and grab a copy of High Gain!